Home » Blog » We’ve been serving the area for more than 40 years! At Tri-County Hearth & Patio, we are dedicated to our community and providing top-quality hearth and patio products. We have been serving southern Maryland with the finest products and top-notch expertise for more than 40 years! As our product lines and knowledge has grown, here are some of the product you will find in our 20,000-square-foot showroom. Whether you are looking to replace an existing fireplace or install a brand-new fireplace to add value to your home, you will find a wide selection at Tri-County Hearth & Patio! Our fireplace experts can help you select the right fireplace to suit your lifestyle and your home-heating needs! We offer fireplaces in traditional wood burning, pellet, gas and electric varieties. If you have an outdated fireplace insert in your home, or if you have a traditional open-hearth fireplace that’s sucking heat from your home, Tri-County Hearth & Patio can restore your hearth with a fireplace insert. With a fireplace insert, you can alter your fireplace to burn your desired fuel, increase the convenience of using your fireplace or increase the heat output of your fireplace. If you’re looking for an alternative source of heat to lower your home’s heating bills, a heating stove — in wood burning, gas, pellet-burning or electric varieties — can create a supplemental heat source that allows you to direct heat where you need it. At Tri-County Hearth & Patio, you’re sure to find a heating stove to meet your needs and hearth experts to answer all of your questions. Adding a firepit to your patio can provide heat and light to make your patio more functional, and it can provide ambiance and a focal point around which you can style your patio or gather with your friends. At Tri-County Hearth & Patio, you will find beautiful firepits to fit your patio’s size and your style. Hearth accessories can increase your fireplace’s efficiency, beauty or functionality. We carry fireplace tools, fire screens, fireplace doors and more to enhance your enjoyment of your fireplace. The right patio furniture can add square footage to your home by transforming your patio into an outdoor living space. At Tri-County Hearth & Patio, you’ll find dining sets, sofas, hammocks, chairs and umbrellas, as well as outdoor décor to accent your outdoor living space. Tri-County Hearth & Patio carries the nation’s top lines of grills. At Tri-County Hearth & Patio, you are sure to find a grill that fits your cooking style and your cooking needs. 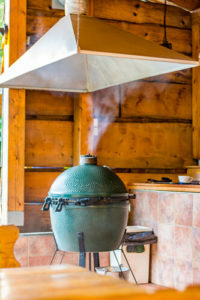 We carry charcoal-fired Big Green Eggs and kamado grills, as well as stainless-steel gas grills and even pellet grills. Tri-County Hearth & Patio should be your destination for your next grill. Every great grill master needs the right grilling equipment. At Tri-County Hearth & Patio, you will find high-quality charcoal and wood chips, rubs, sauces, grill mitts, grill tools, and other accessories. There’s a reason Tri-County Hearth & Patio has been around for 40 years; we are dedicated to carrying the best products and staffing our showroom with experts who can answer your hearth & patio questions. Stop by our showroom to see why we’re southern Maryland’s choice for hearth and patio appliances, accessories and furniture today!